We hope your day is full of joy, peace and comfort and that you can take a moment to reflect on all that God has done for us through His son, Jesus. There is no better time than the 48 hours of Christmas Eve and Christmas Day. Enjoy every second of it! Julie and I had our first real getaway last week as we went out to Carmel, California, for a few days of relaxation and fun. Lord knows we both needed it and thanks to my business partner and his time share with Hyatt we stayed right off the famous Highway 1 and had the most amazing view ever. 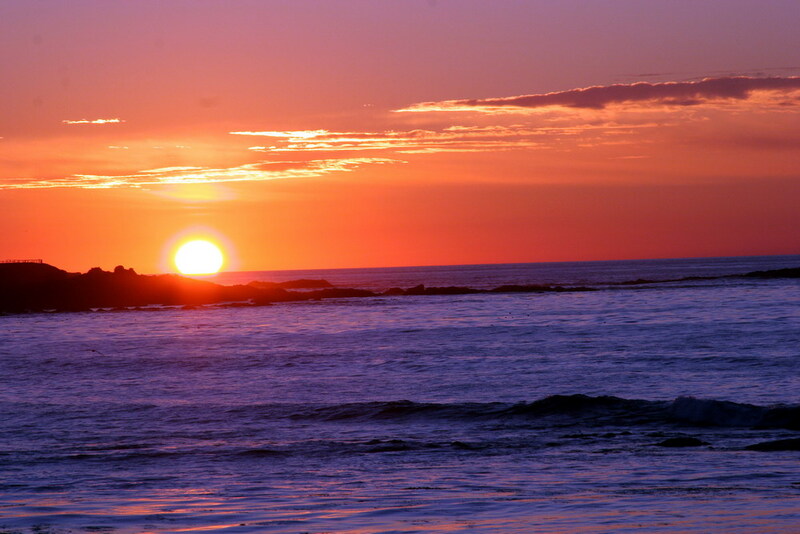 If you have never been to Carmel, make plans to get out there before you die! It is unreal. Click here for our slideshow and see some of the most amazing photos I have ever been able to grab! See Our Synched Our Christmas Lights! Check out our musical, blinking lights! Click on Videos and you will see it! 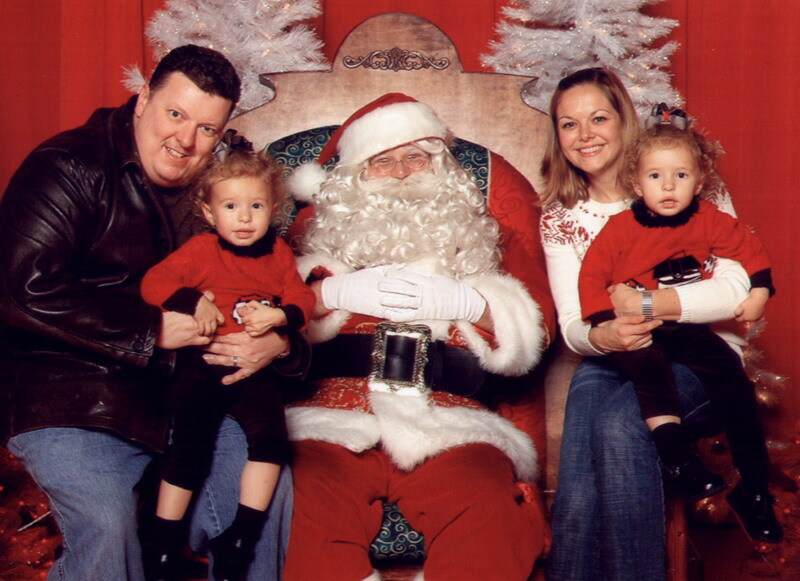 Not quite the screamfest as 2006, but this years visit to see Santa at the Gaylord was another one full of anxious stares, resistance and absolutely no eye contact from either Chloe or Sidney! They did high five him though. This was after bold confessions of “no cry” from them both for the entire 30 minutes we waited. Alas, crying was had, just not as bad! 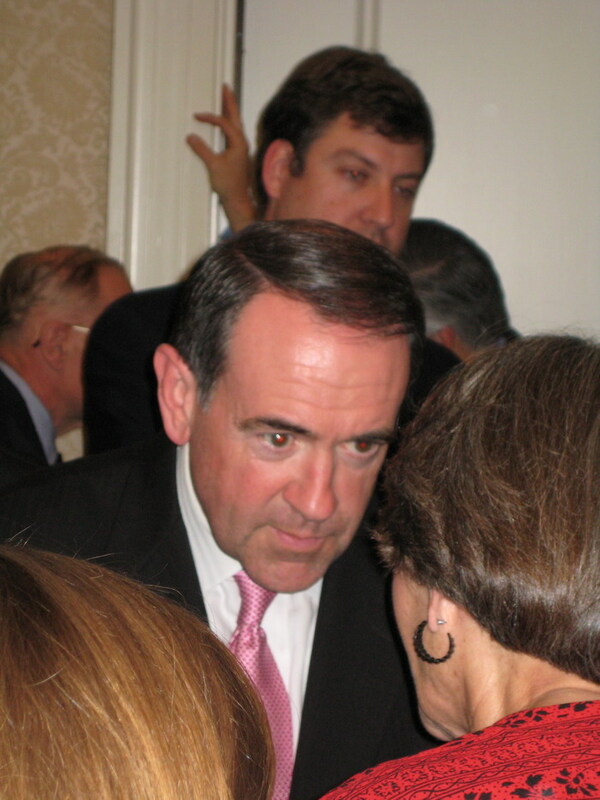 Mike Huckabee – Our Next President? A fast and rising 2008 GOP Presidential candidate came to Dallas for a private fund raiser Monday night and my business partner and I were asked to be quests by our associate Buddy Pilgrim. We quickly obliged, and were thankful to meet and talk to the man that just might be the next leader God has for our nation. More will be posted soon about Mr. Mike Huckabee, but I can relate this with boldness and confidence – If there has ever been a chance to have a true Christian leader for this nation during our lifetimes, this just might be it! Check out our new slideshow of Christmases past…..
As you all know, I have become a blogaholic of sorts. I love them all, but out of the need to simply my life to some degree, there will be fewer entries into the girls blog next year, as well as some others. I am going to focus on our family and Quinn blogs for next year. Pictures are updated on our WEBSITE. Stories will be posted on our main blog. I am finishing up phase one of my online book, “no bones about it”. I do plan to do more posting to it next year. Always a ton to write about in our world today! Hope everyone has a great time shopping and getting ready for Santa!